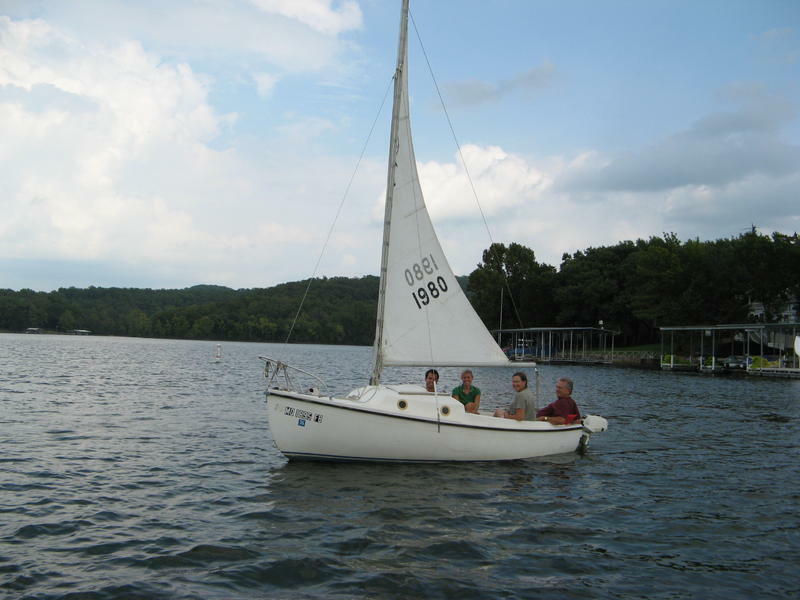 This beautiful 16′ sloop is perfect for beginning sailors or old salts who want to downsize. It is great for small sailing venues but is designed to handle larger waters including the ocean. 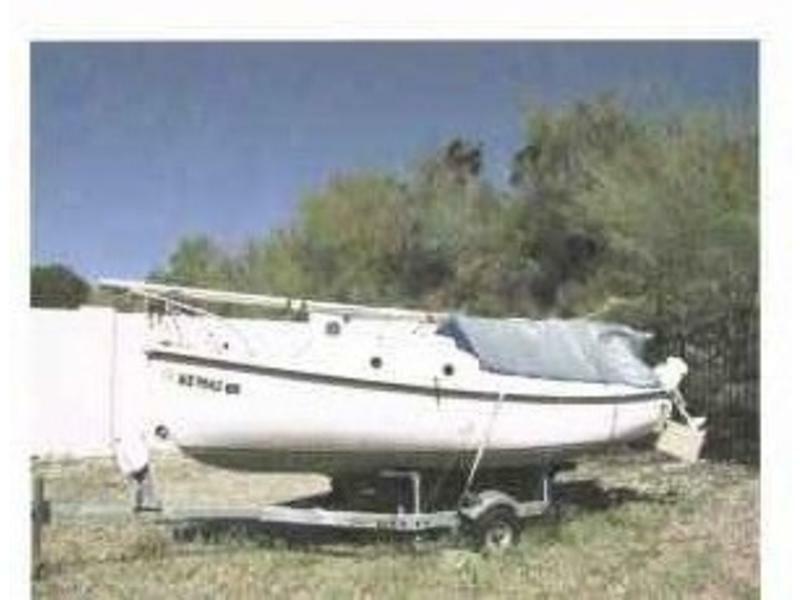 This boat has a nice sized cockpit that sits 4 adults easily and actually has a couple of berths below should you want to sleep out on the water. The cockpit is self draining, a great feature. The rigging is in good shape though some of the ropes might need replacing. Included is a main sail and a jib. There are lights front, rear and on the mast that are battery powered. There is a good deal of room below for storage. The price includes the trailer and a 2hp Johnson outboard to help with launching and retrieving and works nicely for relaxed motoring. Extras include a ladder for getting out of the water; anchors, extra rope; life cushions and vests; flare gun; gas can; and a few exta small parts.